Record numbers of women have been energized to get involved in politics since the 2016 presidential election. KQED decided to help tell those women’s stories, and asked our audience to join us in this endeavor we're calling, “The Long Run.” We chose four women across the state and across ethnic groups to share their experiences with us, and we checked in with them over the course of several weeks. 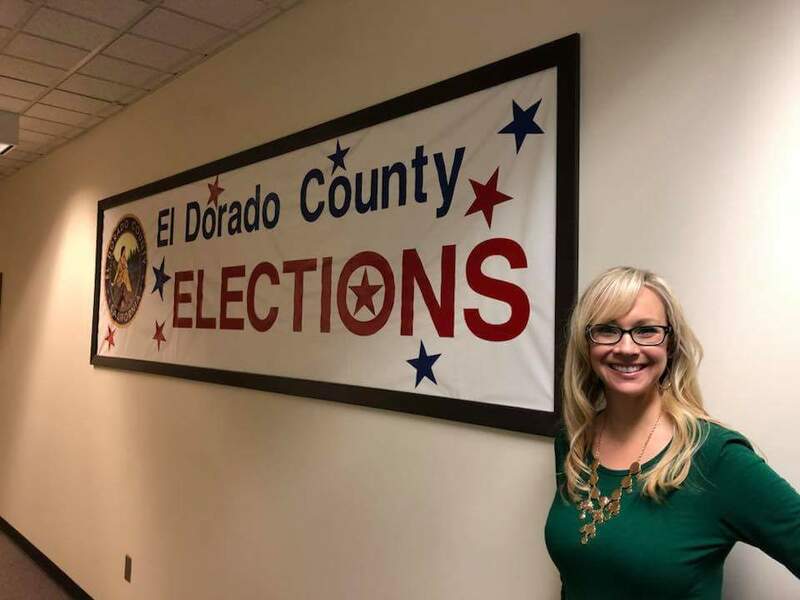 Janelle Horne is running for recorder-clerk in El Dorado County. In the weeks leading up to the election, she's put up signs, asked for endorsements and managed to squeeze in a bit of family time, too. 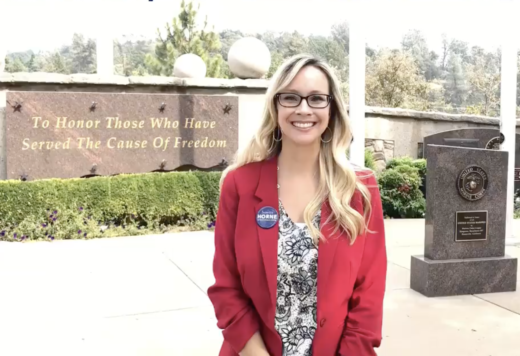 During the first week of August, Horne kept busy with multiple speaking engagements and ordered yard signs to be put up throughout El Dorado County. Her first speech was at the California Republican Assembly. "I had a speech which I had been practicing for about a week and it was about three and a half minutes long. 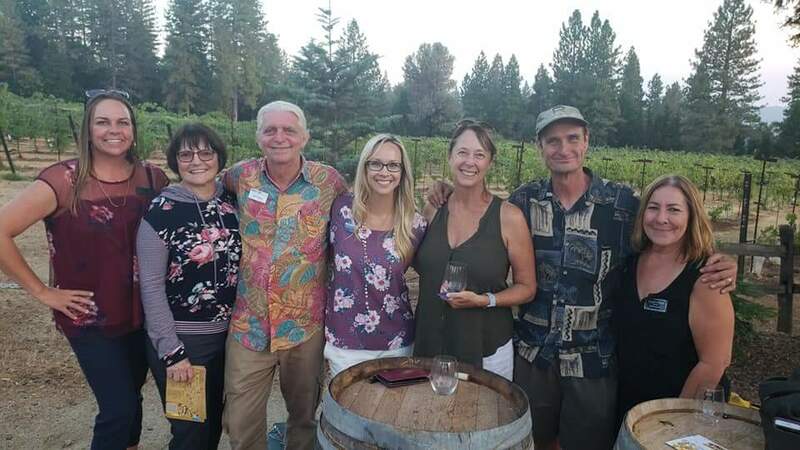 I was very nervous giving this speech because in this room of people, were people who know my opponent [and] have worked with him in the past because he is very involved in our Republican Party here in El Dorado County." She said she wanted to make sure that her opponent didn't get the endorsement. And it worked. "I'm very, very excited. I did exactly that. I did split that vote. Things are looking great. People are hearing my message and I'm excited to see what's to come." Horne was also invited to the Placerville Union's board meeting to share her goals for office and ask them to endorse her. And she spent the rest of the week ordering new signs and posting them around El Dorado County. "It is very time consuming and the ground is very hard right now to get in those T-posts. And it's still hot! So hopefully it's not too much work, but it's a must." During her second week, Horne told KQED she was in full swing, posting signs and attending events. "One in particular was our annual Farm to Fork Twenty Mile Taste which benefits the Ag in the Classroom program. Most of [the agricultural community] are supporters of mine. And so it was a great event to fellowship and meet new people in that community." Horne said the week brought frustrations, too. The start of what she called the "sign wars" left her feeling irritated. She gave an example of how her opponent put his sign next to hers a day after she chose a spot. "Those are the things that happen that are frustrating. My husband's frustrated. You know, we spend time on trying to decide where is the best spot. And then you know, it's kind of like they steal your thunder." But she managed to squeeze in some quality family time in her busy campaigning schedule. "That's the struggle of trying to do campaign work and manage family time. So we took the kids out to Lake Natomas and spent some time. We rented some paddle boards and a canoe and just had a great time floating around there and connecting again before it gets too crazy with school." She ended the week preparing for two speaking engagements, making appointments with influential people in her community and listening to some words of advice from a friend. "He reminded me that people don't care about your experience. They don't care about what you really have to say. What they really care about is if you're a likable person and if they like you. And that you have a positive attitude and you're friendly. So basically the advice that he gave was when I'm up there at a forum, make sure that you're smiling, you look like you're having a good time and that you are connecting with the people." That advice was helpful to Horne because she says she's been under a lot of stress with the campaigning process. "You start looking at what the other person's doing and analyzing what you're doing and kind of losing your focus a little bit. I just need to make sure that I'm me because really that's who I am. I love people. I love talking with people and being social. That's what I like to do." During her third check-in, Horne shared her frustrations with KQED about running for a nonpartisan office. She ran into an issue when a committee member went to put her sign up in a supporter's yard, but the renter of the property said he didn't want the sign because of her party affiliation. "It's just a very big frustration... the division between the two parties. This is a nonpartisan office. It shouldn't matter what you're registered as. It should matter who you are, your experience and what you bring. And this is just a huge struggle that [is] difficult to overcome with people who are not registered the same as me. [...] It would be very unfortunate to lose because the other party doesn't want to vote." She ran into another issue when an anonymous Facebook user posted on one of her videos stating misinformation about her. "I was so upset. My hands were shaking. My heart was beating so fast. I couldn't believe that this was happening to me because my campaign has been so squeaky clean. I have never said anything bad or anything about my opponent. And I didn't think it would happen to me. I broke down, I cried." But the week turned around for Horne at the end. She received an endorsement for a local union and meditated on the campaign process as a whole. "This has been a great experience. I have learned so much about myself. I've learned so much about my community and how our government works and how corrupt it is and it's just 'wow.' It's been interesting but I've met so many people through this process, it's been a huge blessing overall."